Are nonradiologists cherry-picking imaging studies? May 11, 2018 -- It's no secret that nonradiologists have been performing more imaging, such as ultrasound, cardiac imaging, and some image-guided interventions. But nonradiologists appear to be cherry-picking the studies that are easier to perform, according to research published online May 7 in the Journal of the American College of Radiology. Nonradiology practitioners are reading easier studies during the week, in their offices -- while radiologists continue to interpret the more complex studies in hospital settings all week long and in the evenings, wrote a team led by Dr. Anand Prabhakar of Massachusetts General Hospital. The group focused on lower extremity venous ultrasound exams to investigate differences in radiologist and nonradiologist reading patterns. "Although appropriately accredited nonradiologists can interpret vascular ultrasound examinations in a high-quality manner, it remains unknown to what extent they render interpretations after-hours -- including on weekends -- when patient complexity and acuity may be higher," Prabhakar and colleagues wrote. "Anecdotally, some radiologists have lamented an observed practice where nonradiologists who provide imaging services selectively delegate after-hours examinations and procedures to on-call radiologists for convenience." Interspecialty competition -- or "turf wars" -- has long been an issue in medicine, both inside and outside of radiology. Vascular ultrasound is a classic example of the shift of imaging from radiology to nonradiology clinicians because it is increasingly used to assess thrombosis, stenosis, and aneurysms, the researchers wrote. Dr. Anand Prabhakar from Massachusetts General Hospital. Indeed, nonradiologists are interpreting more of these exams as they establish their own vascular laboratories. But what are their reading patterns, and how do they affect radiologists? For starters, the shift is boosting the number of complex cases that radiologists read, Prabhakar told AuntMinnie.com via email. "Imaging utilization dropped dramatically about a decade ago, but it has been creeping up again, particularly in the emergency department setting," he said. "We've observed that the complexity of many of the examinations we interpret has increased as well. Anecdotally, a number of radiologists involved in 'turf battles' with other specialists have reported that their competitors are 'cherry-picking' easier studies in less acute settings and in more opportune times. We conducted this study to investigate these impressions." The study included 760,433 lower extremity venous duplex ultrasound exams. Of these, 58% were interpreted by radiologists and 42% by nonradiologists, the group found. Unsurprisingly, radiologists tended to interpret the exams in hospital settings such as the emergency room. They also read more of these exams on weekends and for patients with higher CCI scores, compared with nonradiologists. The differences between radiologists and nonradiologists in the sites of service surprised Prabhakar's team, he said. "Given the anecdotes shared with us by a number of radiologists over the years, we were not surprised by some of the day-of-week variation or patient complexity our study found," he said. "Be we didn't expect to see such a dramatic difference with respect to the sites of acuity of care." 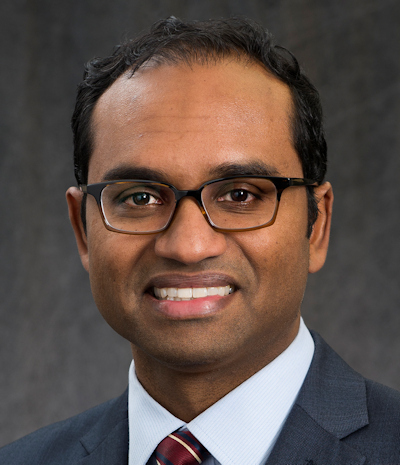 Radiologists are still the primary readers of lower extremity venous duplex ultrasound exams, and the study highlights the value they provide to both patients and healthcare systems, Prabhakar said. But it's important to keep practice patterns in mind -- and acknowledge that the stress radiologists may experience is definitely not in their heads. "The stress and intensity that radiologists feel when working weekends and nights is very real," he said. "We hope our data will prove useful to radiology practices that may indeed be dealing with 'cherry-picking' issues. And at the broader policy level, as the U.S. Centers for Medicare and Medicaid Services and other payors strive to create value-based metrics, we hope that there will be conversations about developing metrics to differentiate those who provide 24/7/365 care from those who only provide services during banker's hours."